A physicist is a scientist who has specialized knowledge in the field of physics, the exploration of the interactions of matter and energy across the physical universe. A physicist is a scientist who specializes or works in the field of physics. The field generally includes two types of physicists: experimental physicists who are concerned with the observation of physical phenomena and experiments, and theoretical physicists who employ mathematical models and abstractions of physical objects and systems to rationalize, explain and predict natural phenomena. Physicists study a wide range of phenomena in many branches of their field, spanning all length scales: from sub-atomic particles of which all ordinary matter is made (particle physics), to physical systems, to molecular length scales of chemical and biological interest, to cosmological length scales encompassing the Universe as a whole. Physicists generally are interested in the root or ultimate causes of phenomena, and usually frame their understanding in mathematical terms. Physicists can also apply their knowledge towards solving real-world problems or developing new technologies (also known as applied physics or engineering physics). Some physicists specialize in sectors outside the science of physics itself, such as engineering. In an 18th century experiment in "natural philosophy" (later to be called "physics") English scientist Francis Hauksbee works with an early electrostatic generator. The study and practice of physics is based on an intellectual ladder of discoveries and insights from ancient times to the present. Many mathematical and physical ideas used today found their earliest expression in ancient Greek culture (for example Euclid, Thales of Miletus, Archimedes and Aristarchus) and Asian culture, as well as the Islamic medieval period (for example the work of Alhazen in the 11th century). The bulk of physics education can be said to flow from the scientific revolution in Europe, starting with the work of Galileo and Kepler in the early 1600s. Newton's laws of motion and Newton's law of universal gravitation were formulated in the 17th century. The general field of studying nature, natural philosophy, was divided into many fields in the 19th century when the concept of "science" received its modern shape with new titles emerging such as "biology" and "biologist", "physics" and "physicist" among other technical fields and titles. The term physicist was coined by William Whewell (also the originator of the term "scientist") in his 1840 book The Philosophy of the Inductive Sciences. 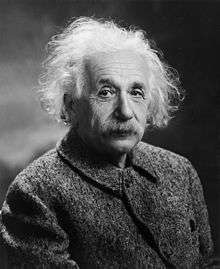 Physicist branched into other fields such as electromagnetism in the 19th century, quantum mechanics in the early-to-mid 20th century, and an expanding field of cosmology in the 21st century. Many physicist positions require an undergraduate degree in applied physics or a related science or a Master's degree like MSc, MPhil, MPhys or MSci. In a research oriented level, students tend to specialize in a particular field. Fields of specialization include experimental and theoretical astrophysics, atomic physics, molecular physics, biophysics, chemical physics, medical physics, condensed matter physics, cosmology, geophysics, gravitational physics, material science, microelectronics, nuclear physics, optics, radiophysics, electromagnetic field and microwave, particle physics, and plasma physics. Physics students also need training in mathematics (calculus, differential equations, linear algebra, complex analysis, etc. ), and also in computer science and programming. For being employed as a physicist a doctoral background may be required for certain positions. Undergraduate students like BSc Mechanical Engineering, BSc Electrical and Computer Engineering, BSc Applied Physics...etc. with physics orientation are chosen as research assistants with faculty members and some may train further as a physicist. 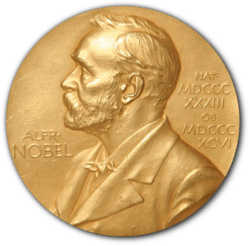 The highest honor awarded to physicists is the Nobel Prize in Physics, awarded since 1901 by the Royal Swedish Academy of Sciences. The three major employers of career physicists are academic institutions, laboratories, and private industries, with the largest employer being the last. Physicists in academia or government labs tend to have titles such as Assistants, Professors, Sr./Jr. Scientist, or postdocs. As per the American Institute for Physics, some 20% of new physics Ph.D.s holds jobs in engineering development programs, while 14% turn to computer software and about 11% are in business/education. A majority of physicists employed apply their skills and training to interdisciplinary sectors (eg. finance). Job titles for graduate physicists include Agricultural Scientist, Air Traffic Controller, Biophysicist, Computer Programmer, Electrical Engineer, Environmental Analyst, Geophysicist, Medical Physicist, Meteorologist, Oceanographer, Physics Teacher/Professor/Researcher, Physiognomist, Research Scientist, Reactor Physicist, Satellite Missions Analyst, Science Writer, Stratigrapher, Software Engineer, Systems Engineer, Radar Developer, Technical Consultant, etc. Physics programs typically deal with meta-theories and its laws regarding applied science, hence most undergraduate physicists take up additional careers where their knowledge of physics can be combined with further training in other disciplines, such as computer science, information technology, patent laws, engineering diplomas, animation, teaching, etc. for industry or self-employment. A typical undergraduate physics program covers essential basic competence required in areas of physics endeavor like astrophysics, laboratory knowledge, electricity and magnetism, thermodynamics, optics, modern physics, calculus, etc. and also in computer science and programming. Hence a majority of Physics bachelor degree holders are employed in the private sector. Other fields are academia, government and military service, nonprofit entities, labs and teaching. Typical duties of physicists with master's and doctoral degrees working in their domain involves research, observation and analysis, data preparation, instrumentation, design and development of industrial or medical equipment, computing and software development, etc. 1 2 Rosen, Joe (2009). Encyclopedia of Physics. Infobase Publishing. p. 247. ↑ "Industrial Physicists: Primarily specialising in Physics" (PDF). American Institute for Physics. October 2016. ↑ "Industrial Physicists: Primarily specialising in Engineering" (PDF). American Institute for Physics. October 2016. ↑ "Industrial Physicists: Primarily specialising outside of STEM sectors" (PDF). American Institute for Physics. October 2016. ↑ "Physicist". nationalcareersservice.direct.gov.uk. National Careers Service, United Kingdom. 7 October 2016. ↑ AIP Statistical Research Center. "Industrially Employed Physicists: Primarily in Non-STEM Fields" (PDF). Retrieved August 21, 2006. ↑ "Physicists and the Financial Markets". Financial Times. 18 October 2013. ↑ American Institute for Physics (AIP) Statistical Research Center Report Physics Doctorates Initial Employment published March 2016. ↑ "What can I do with a degree in Physics?" (PDF). Augusta University. 2016. Retrieved September 11, 2016. ↑ "Physicist Career Opportunities". Illinois Institute of Technology. 2016. Retrieved November 10, 2016. ↑ "Physics Education, Applied to Engineering". National Academy of Engineering (NAE). 2016. Retrieved November 10, 2016. ↑ "Initial Employment Sectors of Physics Bachelor's, Classes of 2011 & 2012 Combined". American Institute of Physics. Retrieved September 13, 2016. ↑ "2111 Physicists and astronomers". National Occupational Classification - Canada. 2016. Retrieved November 11, 2016. Whitten, Barbara L.; Foster, Suzanne R.; Duncombe, Margaret L. (2003). "What works for women in physics?". Physics Today. 56 (9): 46. Bibcode:2003PhT....56i..46W. doi:10.1063/1.1620834 . Kirby, Kate; Czujko, Roman; Mulvey, Patrick (2001). "The Physics Job Market: From Bear to Bull in a Decade". Physics Today. 54 (4): 36. Bibcode:2001PhT....54d..36K. doi:10.1063/1.1372112 .